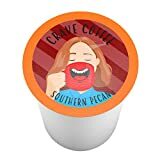 It’s no wonder when people are looking for ways to find Cheap K Cups, as a big portion of coffee drinkers are dependable on Keurig coffee makers for their everyday dose. Drinking coffee can be one of the most enjoyable things that we do on a regular or daily basis. Unfortunately, due to this regularity, coffee drinking can become an all too expensive habit. This is especially true in the case of K-Cups. While these arguably offer high quality coffee with absolute convenience, this comes at a price. Studies have shown that the average user can spend upwards of $300 per year just on K-Cups alone. In an economic climate that demands saving money wherever possible, reducing this expense is an absolute must. This article will present methods for achieving this goal. 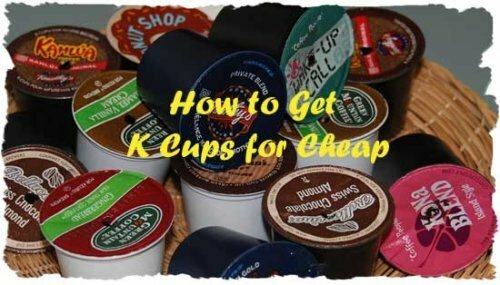 First, it will present several ways to find cheap K-Cups. Second, it will offer alternatives, which can prove not only cheaper, but more environment friendly as well. Many companies are beginning to recognize the importance of customer retention. This is especially true with companies that provide consumables, such as coffee. One method for customer retention is to offer discounts for regular patronage. Keurig offers a 10% discount on all orders you make when you join the Coffee Club. This requires nothing more than registering your Keurig machine online after purchase. 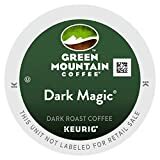 In addition to the 10% discount, Keurig will send a coupon for two free boxes of K-Cups with the purchase of two boxes. That means your first four boxes will be half price, a pretty decent savings! Afterwards, you can enjoy 10% savings, as well as free shipping on all orders. Tip: Obviously, when you are buying in bulk, you need some arrangement, Get some relevant holder for your K-Cups so that they remain in some beautiful way. Now this is one of the most used method for buying Cheap K Cups Alternates and discounts on K-cups. If you want to catch the best K-Cup coffee at a really affordable price, shop on Amazon. When you compare the cost of K-Cups at regular retailers, or even other online sources, the average cost per K-Cup will be about 60-70¢. Buy the same item on Amazon and the cost averages to about 33¢ each. This is more than a little savings—this is cutting your cost in half. Even better, these orders usually qualify for free shipping when you spend over $49. That said, you can go to Amazon and stock up for half the price of other retailers and free, no hassle shipping as well. K-Cups, like any other coffee product, are sold in a number of locations. And, just like in any other retail scenario, different places will charge different amounts for the same product. These prices may not vary drastically, but even the smallest of savings will add up over time, especially considering how many K-Cups most people use in a year. Online retailers such as Amazon will offer K-Cups at a lower price than most grocery stores. When free shipping is available, then the savings are even greater. In the end, finding the cheapest K-Cups is no different than finding the cheapest pair of jeans—just shop around. Another way that shopping for K-Cups is like any other shopping endeavor is the use of coupons. 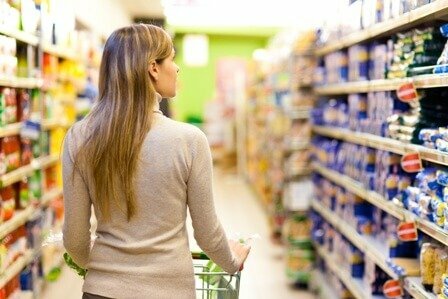 Grocery stores often charge higher prices on things, but they also offer coupons that make those prices more reasonable. These coupons will not always be offered or available, but when they are you should take advantage of them. Generally, the coupons offer savings of 25%-35%, thus bringing the price into a reasonable range. TheCrazyCouponLady is one such place to get saving coupons for many stores. In addition to finding coupons in stores. you can also find manufacturer coupons online. These coupons will come directly from Keurig in case of K-Cups, and so can be used at any location that accepts coupons. These coupons can offer savings up to a full 50% off, so they are well worth looking for. 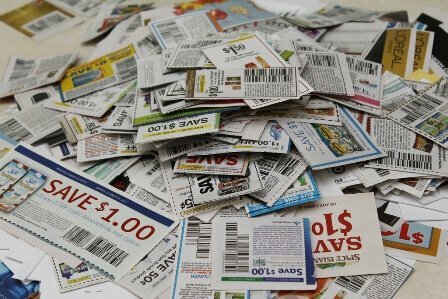 Last but not least, look for coupons that offer a discount on purchases of specific amounts or more. A common example of this is when grocery stores provide coupons for $20 off a $100 purchase. While these coupons are not specifically for K-Cups, they can be used to stock up on them. Using these coupons in conjunction with regular store sales will make the savings even greater. Additionally, using them with K-Cup specific coupons will also increase the savings. Just make sure that the coupons can be used together before making your purchase. 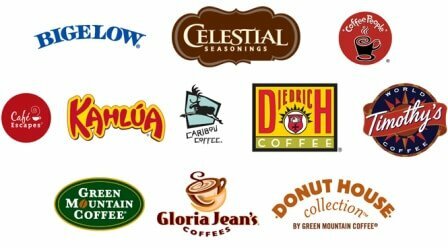 Another reliable way to find cheap K-Cups is to shop at discount locations. 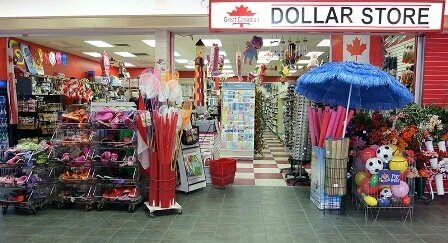 Dollar stores are an excellent brick and mortar option, while eBay is a good online option. These sellers will usually offer K-Cups at significant discounts, up to a full 50% off regular retail. The catch, however, is that these K-Cups are usually close to or just beyond their sell-by dates. While that fact may put many people off, the truth is that coffee doesn’t actually spoil. The only thing that happens to coffee is that it loses its potency to some degree. Unlike bread, however, when coffee gets ‘stale’, it retains its texture and most of its flavor. Considering how much sugar, syrup or cream many people put in their coffee, this detail will hardly be noticed. 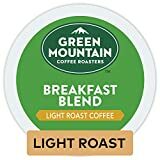 This might not sound good for die hard coffee fans, but for others, it’s a good option to find cheap K cups. Rebates, or cash back rewards, are a regular incentive these days. 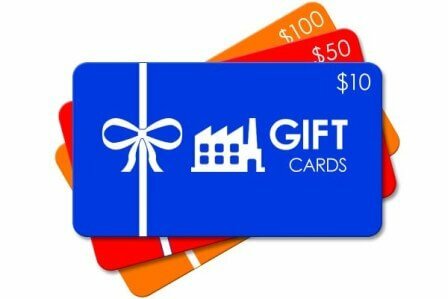 Anything from cash back cards to actual rebate rewards are available in many shapes and forms. Ebates is an online resource for regular cash back rebate checks. Once you have registered on their site, they will provide a list of retailers that they offer rebates for. Shopping at retailers such as Office Depot, Sam’s Club, Walmart, and even certain online retailers, will make you eligible for cash back rebate checks. This may not be the most convenient method, but it can be the most rewarding. This option is less about finding cheap K-Cups as it is about making your money go further. Prepaid cards for retailers such as Target, Kroger, Bed Bath and Beyond and Walmart can be purchased at discounted rates. Many online resources sell prepaid cards, sells them for up to 8% off. This means that you pay $92 for a $100 card. While these cards can be used for anything, they are a sure way to save money on K-Cups. When you use them in addition to coupons or rebates, the savings can be tremendous. Some companies, such as wholesale clubs or large name grocery stores, are now offering their own brand of K-Cups. These cups work exactly the same way as K-Cups, fitting any Keurig or other single brewing machine. The difference is that these brands come at a discounted price, largely due to lack of advertising. Moreover, name brands tend to be more expensive as they have to cover their advertising costs. Additionally, name brands have to recoup the cash they spent on developing the product. Store brands can provide the same product at a lower cost since these expenses don’t apply. K-Cups are a single brew pod system designed and sold by Keurig. Other coffee companies have similar single brewing pod systems that can cost less. While some companies sell single brew machines which mirror Keurig’s system, others simply offer the pods. In any event, the shape and size of these pods is fairly universal. Subsequently, while K-Cups can be used in other machines, so too, other pods can be used in Keurig machines. Smaller coffee companies can offer single brew cups at a lower price as their overhead is lower. Additionally, they lack the advertising and research costs described earlier. 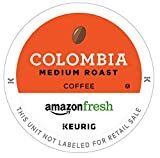 Not only does Amazon offer huge savings on Keurig specific K-Cups—it also offers significant savings on alternates. 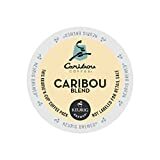 Additionally, Amazon offers a whole range of alternate companies to choose from, providing a huge selection of coffees, signature hot chocolates and other flavor varieties. 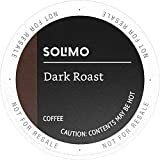 Refillable K-Cup filters are also readily found with a simple search, making Amazon the most convenient, cost effective site offering the most comprehensive selection available. Whether searching for cheap K-Cups or a cost effective alternative, the above information we hope has provided several options to choose from. Now you can find your favorite coffee at an affordable price with coupons, rebates, discounts and better shopping habits. Alternatively, you can use cheaper brands for your Keurig or other single brewing machine, without sacrificing quality. All in all, there are many ways for you to make your coffee drinking cheaper and more satisfying. Good luck in finding the one that best works for you!